Monumental cemetery Milano: Tuesday 12th September 2017, 6 PM. Come along and meet with George Saunders and his bestseller! 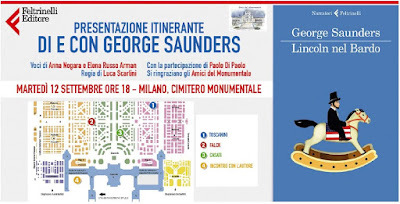 Within the framework of the XXI° Mantua Literature Festival, and in cooperation with Feltrinelli, one of leading publishing houses in Italy, Amici del Monumentale organizes a unique event at the Monumentale, the only stopover of George Saunders in Milan. Anna Nogara and Elena Russo Arman, theatre actresses, under the direction of Luca Scarlini, will be reading some passages of Saunder’s book facing three important monuments, accompanied by music and followed by an interview with the author. 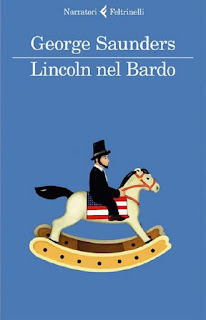 Saunders specifically requested to be held at the Monumentale in the light of the storyline of his book that tells about the heart-breaking death of Abraham Lincoln’s little son. Live stream on Corriere.it, the major Italian newspaper, Feltrinelli and Amici del Monumentale websites and social networks.